Speranza Animal Rescue has been a long time in the making. Janine Guido always loved animals as a child and always had such compassion for them. She and her sister grew up avid horse-riders and eventually the family built their own 17.5 acre horse farm in Mechanicsburg, Pennsylvania. Janine trained horses and her sister taught lessons, but all along the way, Janine was saving strays and unwanted animals on the side. In 2011, Janine once again injured her knees and was not able to train and ride horses as she once did. This injury created the opportunity for Janine to dedicate herself to saving unwanted animals full time. Using the family’s horse farm as her rescue facility, Janine started saving more and more dogs, horses, goats and cows. In the Spring of 2012, Janine began to pursue starting an official non-profit organization that she wanted to name Speranza (meaning hope in Italian) Animal Rescue. Janine is incredibly blessed with a family and long-time boyfriend who support her financially and allow her to dedicate 100% of her time and energy to fueling the mission of Speranza Animal Rescue. Not a single person draws a paycheck from Speranza Animal Rescue, not even Janine. Janine has always been passionate about helping the underdogs and the ones that need a second chance, and that is just what Speranza Animal Rescue was established to do. The mission to help the most abused and neglected came before Janine’s love of the bully breeds and specifically Pit Bull type dogs. Once Speranza started rescuing dogs, it became clear to Janine that Pit Bulls and other bully breeds need the most help. Speranza is an all-breed rescue; however, our passion is rescuing Pit Bulls and breaking down the stereotypes that plague them. Janine has created an organization that believes in second chances, love, patience and acceptance. She is passionate about taking in those deemed a ‘lost cause' as due to her own struggles with mental illness she can relate. Speranza Animal Rescue will take on extreme medical and behavioral cases that other rescues cannot or will not due to cost and time investments required. Speranza is a rescue, rehabilitation center and haven for the animals saved, and each animal is promised as much time as they need. 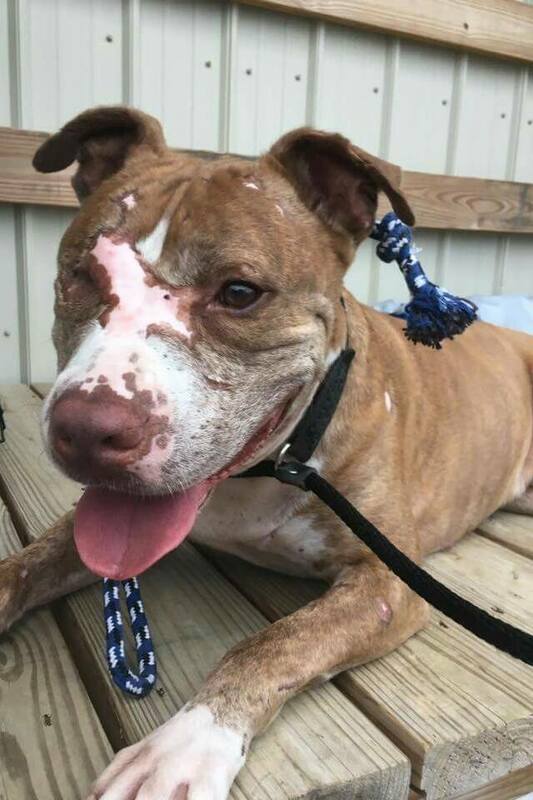 Because Speranza Animal Rescue is a no-kill rescue, meaning that we never euthanize an animal because of a lack of space, we have several dogs that are not currently adoptable, but are in rehabilitation. Dogs can be in rehab for medical or behavioral issues and each case requires a different approach and plan. Speranza has the luxury of being able to keep unadoptable dogs, as well as our rescue farm animals, for the duration of their natural lives. We rely on several volunteers to help us safely provide these sanctuary dogs and farm animals with a positive quality of life. We currently have four dogs at Speranza that will never be adoptable, even with rehabilitation. These dogs will live out their lives at the Speranza farm where we know we can keep them safe and out of trouble. And our farm animals - pigs, goats, cows and cats - well, let’s just say they’re living the good life! What does Speranza mean to you?